The highlight of the package is the first challenger, Joker from Persona 5. Bringing his knife and gun to this all-out brawl, he offers a mixture of long and short-range attacks. 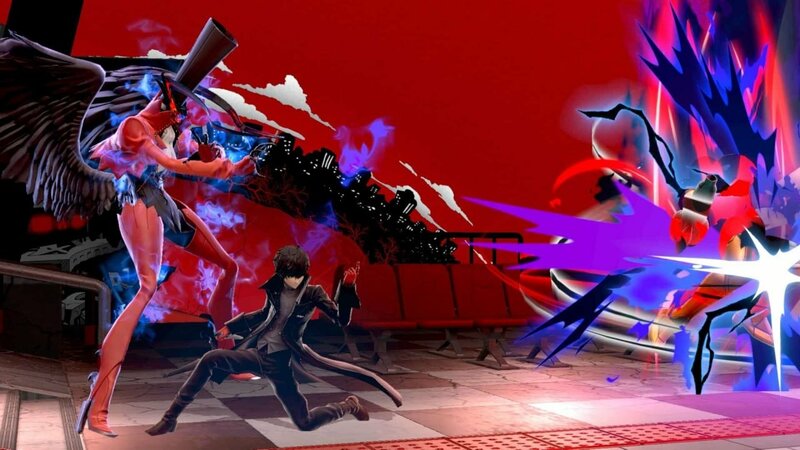 After taking damage to build up his Rebellion Gauge, Joker can enhance his moveset by summoning his Persona, Arsene. Boasting a versatile moveset and cameos from his fellow Phantom Thieves in his Final Smash, Joker is sure to be a great addition to the roster. He also comes with a stage, Mementos, 11 music tracks from the last three Persona games, and a selection of new Spirits. Challenger Pack 1 is available for $5.99 USD, or as part of the Fighters Pass. Other things revealed were 6 new Mii Fighter outfits from the Persona and Sonic the Hedgehog franchises, available for $0.75 USD each, a new video editor, and a new and improved stage builder. The stage builder is a returning feature from the last two Smash games, but this one has been greatly expanded upon. Players can now create moving objects, add background and foreground elements, select any stage background, and use new stage objects. Videos, stages, and Miis can now be shared online, and players can browse and download what is available. This can be done through a phone app as well, but regardless of the device, this feature requires a Nintendo Online subscription to access. All of this will be coming out when Update 3.0 drops later today. Patch notes are expected to be released around the same time.